This For Sale page is being discontinued and no further ads are being accepted. The page will be removed from our site when the remaining items posted have been sold or when their 3 month posting period has expired. Guild Members (and the general public) are encouraged to seek outstanding values in pre-owned tools at the Guild's tool sales and auctions which are held a couple of times each year. Note: Click on pictures to open a larger view in a new window. 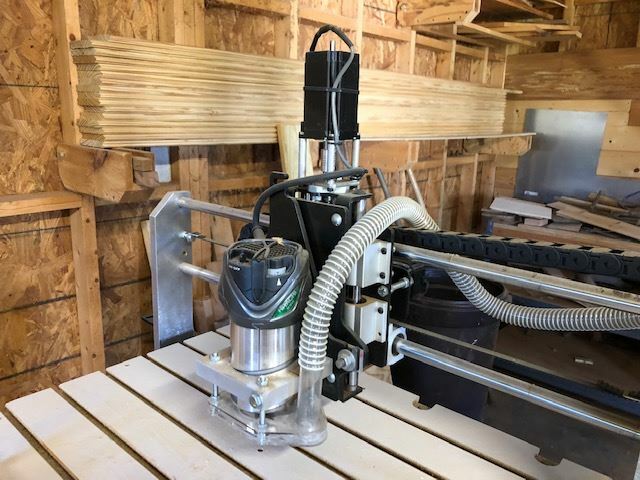 ** Note: System will carve using the Z axis with the router turned 90 degrees. The brackets are used to hold 4" timbers to face carve 2d or 3d images on big timber mantel pieces. 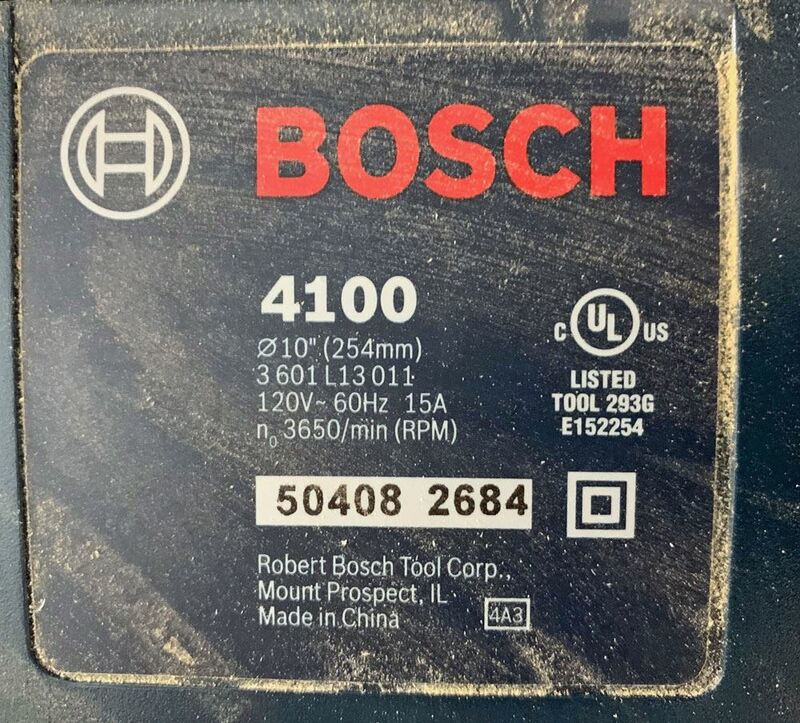 No 4th Axis machinery was purchased when new. Invested $5,000, asking $2,500 for all. Bob Ripley (80 years young) is retiring. Leaving his 3000 sq. ft shop, he is only taking a small amount of his collection that will fit in the garage to do what he wants without deadlines. Please call or text soon as he is trying to finish in April. Thank You! Plus lots of Misc: small tools/ wood: oak maple, some plywood/ fasteners. Call or Text Bob at 864-982-2014 to arrange a time. 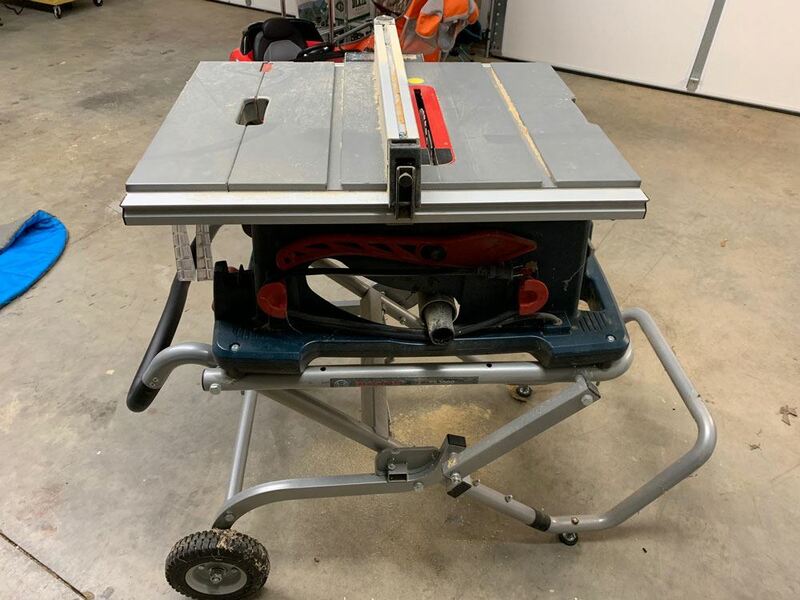 I have some material handling rollers that may be of interest to Guild Members who want to add to the in-feed or out-feed of their wood working equipment. I have 19 mini roller sets that are 3’ long and just over 8” wide. Includes Front rail, rear rail, front tube, T-Glide Fence and Fence Handle. 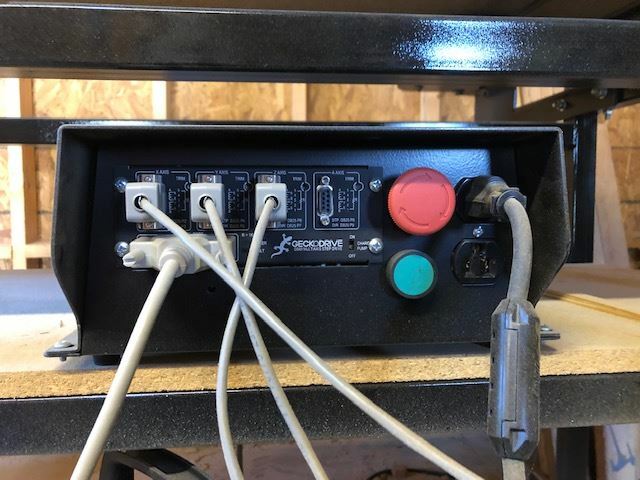 Router needs new armature - online cost is $60.00 for part. -Homeowner / hobbyist use only. -Comes with one 10" combination blade. -Gravity rise stand, factory push-stick and blade guard included. 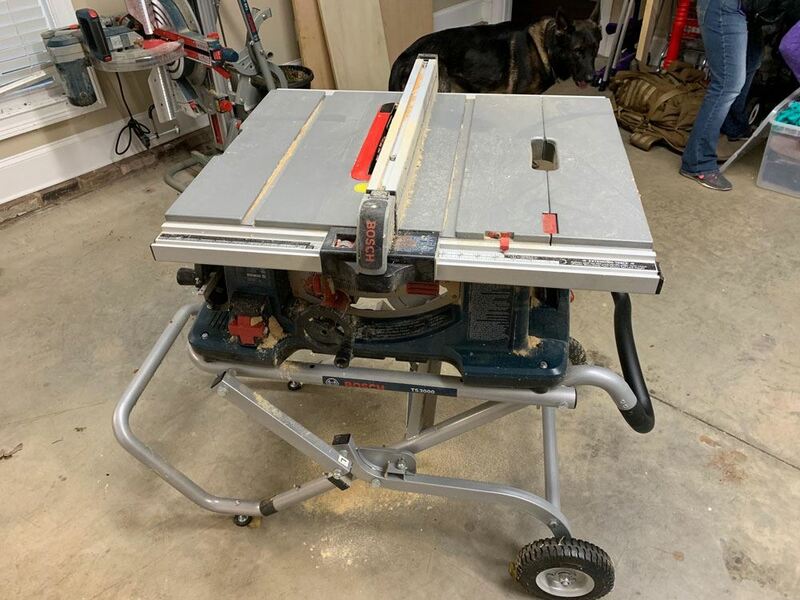 -I upgraded to a cabinet saw, and no longer have a use for the contractor saw. -Pickup in Powdersville, SC - or I will meet buyer at The Guild. 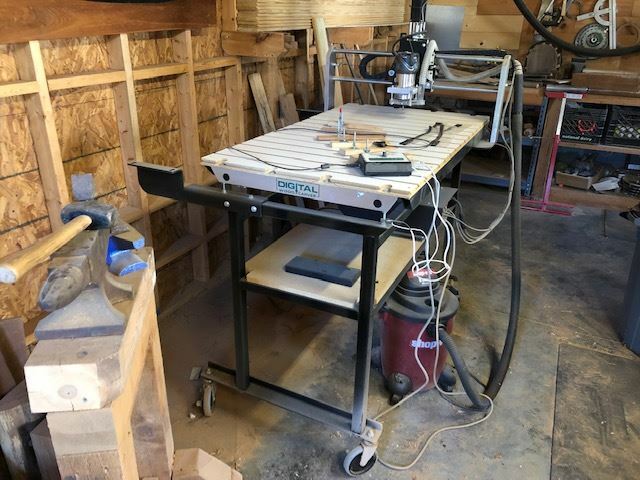 I am selling my CNC Router due to health reasons. 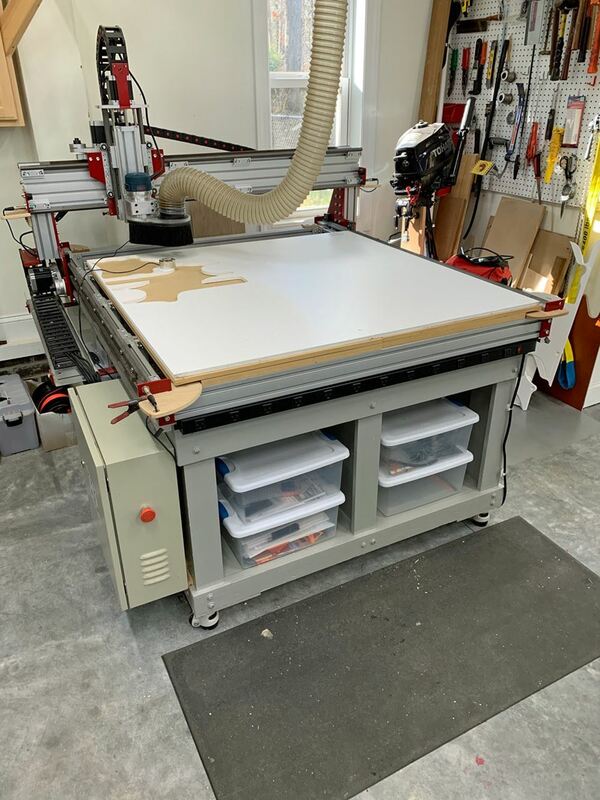 CNC Router with 48" x 48" work area complete with heavy duty base and leveling casters. Includes V-Carve Pro 8.5 software and Mach3 machine control software. Pro series upgrades with the machine and suitable for industrial use. Unit is in excellent condition with very light hobby use. Set up and operating and can demonstrate. Investment of over $12,500 and now offered at 1/2 price. 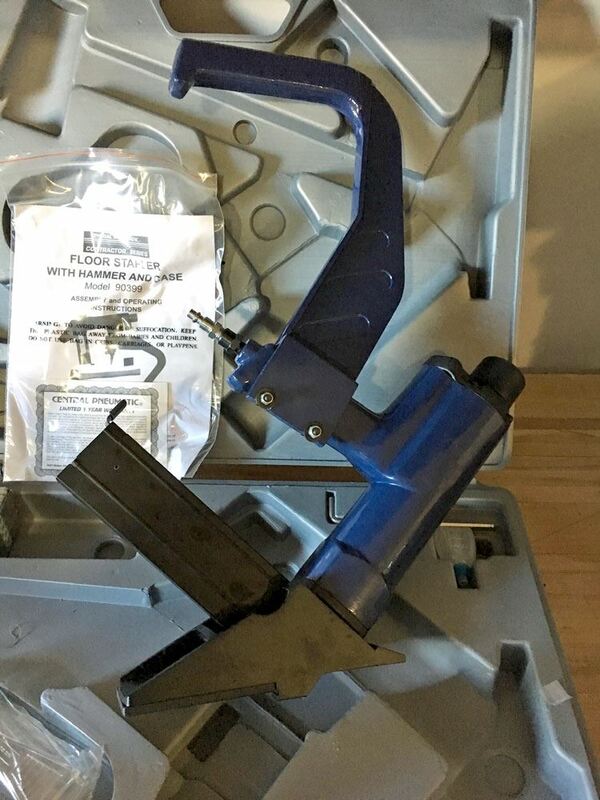 Central Pneumatic Floor Stapler / Nailer - $75. 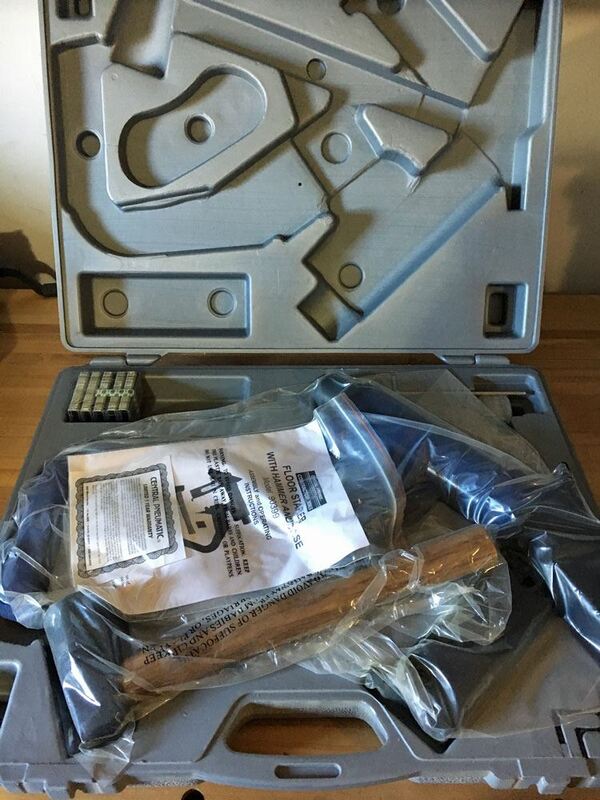 Brand New- Never used- in original package. Available to meet at the shop or near by.